Epoxied 3500 sf of garage elevator areas with your Ultra industrial epoxy and color flakes. Looks gorgeous. Lots of compliments. Glad we worked through the shipping delays and got this done with this product. Ocean III Condos, Manny, FL. We used your Ultra Industrial epoxy in our Joe Canal stores and it’s held help nicely under tremendous foot, forklift and shopping cart traffic. Just finished the floor in my new venture Tackahoe Brewery with your commercial epoxy floor system. Came out great and have no doubt it will last like the Ultra has. The restaurant industry can be pretty cutthroat and sanitation requirements are strict to say the least. You are of course maintaining an establishment where people consume food, and as such, there is always a chance that their health will be at risk. That being the case, you need to ensure that the area is sanitary throughout every single room, which might not always be the easiest thing in the world. As you probably know, many upscale restaurants still use tiles with grout joints. That’s a great thought if you have time to clean it properly but let’s face it, grout joints are porous and always end up with a stain(s) that you cannot remove, causing you to replace your tiles entirely. If you were to use our commercial kitchen epoxy flooring, this problem would easily be a thing of the past. So what is it that sets ourepoxy flooring apart from all of your other flooring options? 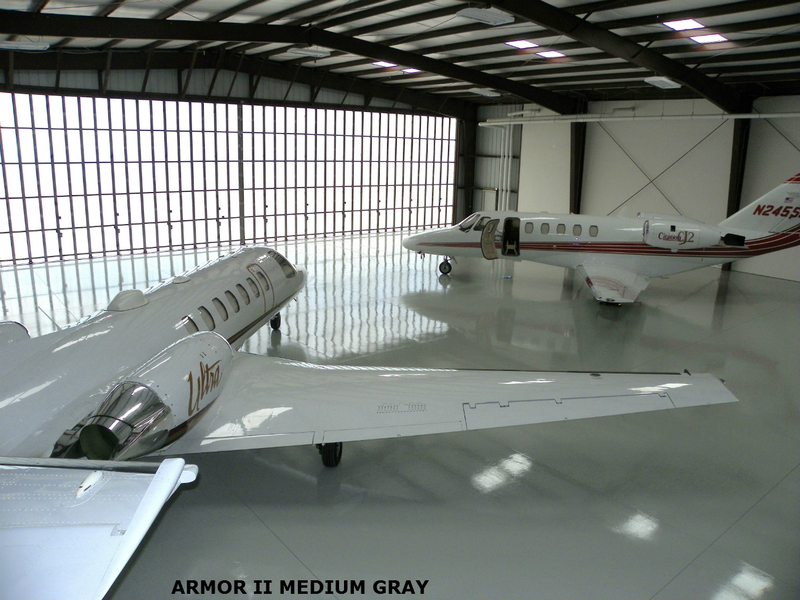 To put it quite simply, ArmorGarage epoxy flooring is far superior than most other types you might choose to utilize. First of all it’s much thicker and harder than standard epoxies. It also has a much brighter and better looking finish. With the addition of some heavy duty nonslip additive it can be very slip resistant and impact resistant. In addition to looking good, the floor will be waterproof and much easier to clean, which makes it simpler for you to keep up with the sanitation standards set forth by the health department in your area. The great thing about an epoxy floor is that it seals your concrete floor, meaning it will no longer be porous, and therefore incapable of absorbing liquids. That said, your floor will last longer than it otherwise might have, which is always going to be a plus. The epoxy can even be run up and over a cove base along the floor making your kitchen area a waterproof and stain proof tub. We like to use the cove base from www.easycove.com. We mentioned in the previous paragraph that commercial epoxy floor paint can last quite a bit longer than its counterparts, and by this we mean it will last up to ten years, if not more. This estimate applies only to floors that are applied with a highly abrasion epoxy, however! Using a high quality epoxy, you will have a floor that lasts and is capable of withstanding anything, from impacts to constant caustic wash downs. You never know what’s going to happen in your commercial kitchen, your dining room, or your waiting area, so be prepared! If your floor is already tiled and they have reached the end of their life span don’t worry. We can help with that. We have a proprietary primer that will bond to your tiles and allow our commercial kitchen epoxy to stick to your tile floor. You just need to get the tiles and the grout clean. We even have a super fast drying epoxy for restauarants that have to keep the downtime to the minimu. Our fast dry epoxy can have you back up in service the one day. Whether your restaurant has existed for several years already, or if you’re just getting started, now would be a great time to start looking at epoxy floor products for your restaurant, particularly in the kitchen areas. Armor Garage has an outstanding selection, and it won’t be too long before you fully realize the incredible benefits epoxy flooring has for your restaurant both in the kitchen, and out. Take a look at our products and get started! Locker rooms are often known for being one of the most disgusting rooms in a building, and with good reason. We aren’t going to discuss everything that goes on in there, only that our Coat All Epoxy System is most likely your best bet to transform ugly worn out tile and grout into a beautiful and sanitary floor. Moisture is the biggest problem that a locker room floor is going to face. Think about it, whether it’s a swimming pool locker room, or one attached to a gym, perspiration and other liquids are going to find their way to the floor and when it comes right down to it, grout is porous. So what does that mean for you exactly? When we refer to a surface having a porous nature, we mean that it is not entirely solid. It does, in fact, mean that the surface is filled with thousands of tiny pores that you simply cannot see with the naked eye. As water leaks in between the tiles, the grout expands, eventually causing cracks. It won’t be long before your tile floor looks like a mess and a great way to find yourself spending a LOT of money having to replace it. In addition to dealing with the potential for water damage, you also have to consider safety issues. A locker room floor is not exactly slip proof, and that creates a serious hazard. What can you do about it? Obviously you would encourage your members and patrons to wear shoes on the slick surfaces, but you can’t account for every single thing that’s going to happen. That being the case, you will want to consider commercial epoxy paint for your locker room floor. Let’s talk about some of the safety benefits! 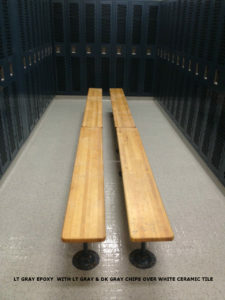 Slip Resistant Surface: Epoxy which means it great for locker rooms, especially if you’re adjacent to a swimming pool. One of the most common solutions for gyms is to install low tuft carpet to allow for low water absorption, but even this can become expensive. 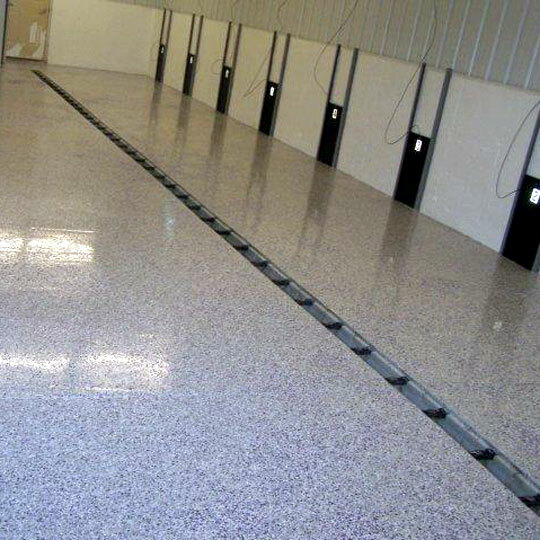 Epoxy flooring can be augmented with a non-slip additive and is therefore much safer. Brighter: You need to see what you’re doing in a locker room – any locker room. The natural instinct would be to install more lights, but if you want to skip that part, then you might consider the benefits of an epoxy floor. It is reflective, and it will make the room seem much brighter. Not to mention a lot better looking than a floor with black grout lines and broken tiles. Easy to Clean: You’re going to need to keep your floor clean, and if you don’t have epoxy, you might as well through in the towel, so to speak. Epoxy flooring provides a solid coating over your porous concrete floor, meaning liquids will pool at the top rather than soaking in. You can easily clean your floor with a mop, no matter what the ‘damage’ is. 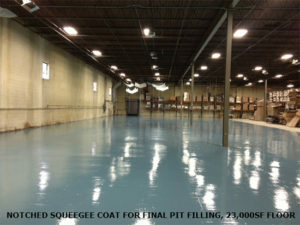 These are the three main benefits of installing a commercial epoxy floor coating. If you’re ready to get your floor into prime shape, take a look at our website and pick out the epoxy flooring that will not only suit you now, but for the next decade. That’s right, it’ll last for at least ten years, or more with our military grade topcoat topcoat. The future of your locker room floor is in your hands – why not let us help? How do you define a lifetime in a business? Is it the number of products you sell? The number of customers you please? The positive reviews and testimonials that you receive? No matter how you actually define the life of your business, the one thing you never want to measure it in, is the number of times that the concrete floor in your shop fails. https://blog.armorgarage.com/wp-admin/post.php?post=204&action=edit. 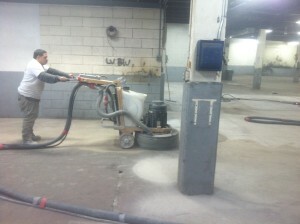 This is where good commercial epoxy flooring can really make a difference. When you think of concrete, you probably don’t think of it being fragile, but let’s be honest, it is. You can scratch it, crack it, and cause all sorts of other damage. Most commonly, these floors are corroded from salts or chemicals, which commonly make appearances in commercial facilities. 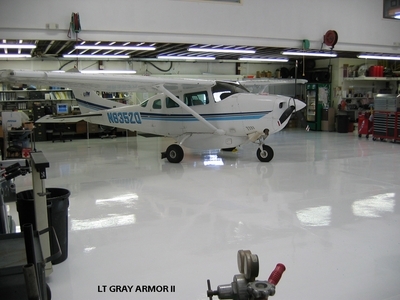 You could be running an auto repair company, a private jet service, or any number of other industries that require the use of commercial epoxy floor coating. You know exactly what you need to do in order to protect your floor, but how do you go about it, and is it going to be expensive? You’ve probably heard of epoxy, but you have probably also heard that it is indeed expensive. Products like Armor II are not prohibitively expensive, though we’re not going to say that they won’t lighten your wallet a little bit. The thing is, however, that it will be more expensive in the long run to go without it. What must be understood, is that a damaged concrete floor is going to cost you a lot of money to fix, while a simple coat of epoxy and topcoat is a one-time expense for the next ten to fifteen years. Which would you rather spend your money on? There are many things that a coat of epoxy will do for you. First of all, it’s going to protect your floor against scratches, which is a great thing in and of itself. 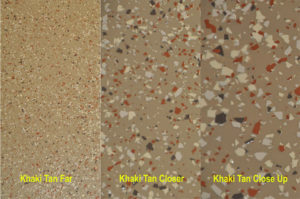 Secondly, it will help to reject moisture, which is something that many concrete floor owners never actually think about. Concrete is porous, and it absorbs water like nobody’s business. What does that mean to you exactly? It means that as you concrete absorbs water it can expand, it can crack, and it can become pitted If you apply epoxy, however, you can prevent all of that very easily. Epoxy will cover the floor, it will provide a beautiful high gloss showroom finish, and overall, it will ensure that you don’t have any damage for the foreseeable future. This is a great way to avoid spending more money on your floor than you have to, especially if it sees a lot of traffic. 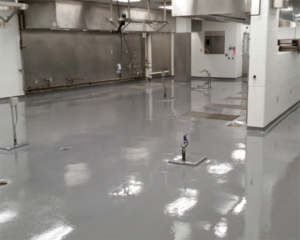 Commercial epoxy floor coatings have many other benefits, for example, because of the moisture proof seal, it will have the ability to reject chemical spills that might have damaged the integrity of your slab and necessitated an entirely new pour. Their high gloss finish will brighten up any work space. Having your customers seeing and walking on a showroom finish greatly improves the image of your business. As you can see, there are plenty of reasons to consider the installation of an epoxy coating, and choosing the right one is paramount. There are obviously many different types of epoxy floor out there for you to consider, but the most important thing that you can do is choose one that is suited for the commercial industry. 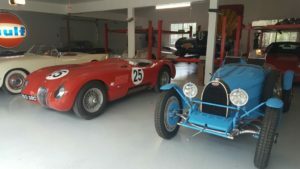 There are so many different types of floors that need epoxy coatings, from hangars, to show rooms, laboratories, and of course repair shops. You will find that there are more benefits than just durability, however. For example, an epoxy floor will make the room brighter, make the floor slip resistant, easier to keep and clean, and most importantly, it’s going to make the rest of your facility look better . Is that really something that you want to miss out on? Probably not! If you’re ready to make yours a great place to work, then this would probably be a great time to take a look at the website and view the different types of epoxy floor coatings that are available. Remember, you never want to choose the cheaper, lesser epoxy flooring that they sell in retail stores – always go for the best, and treat your floor the way it deserves to be.